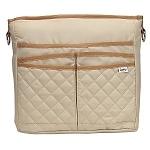 Creates a convenient hook on a walker to hang a purse or bag. 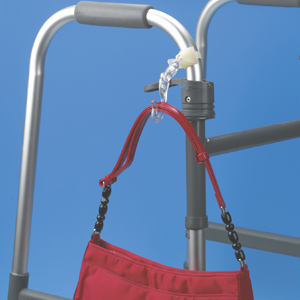 Creates convenient hook to hang a purse on a walker. 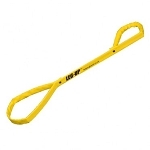 Clamps onto walkers, bed rails or other standard tubing. 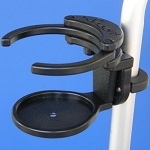 The Walker Purse Hook is a durable hook that clamps on a walker, rollator, bed rail or other metal tubing. 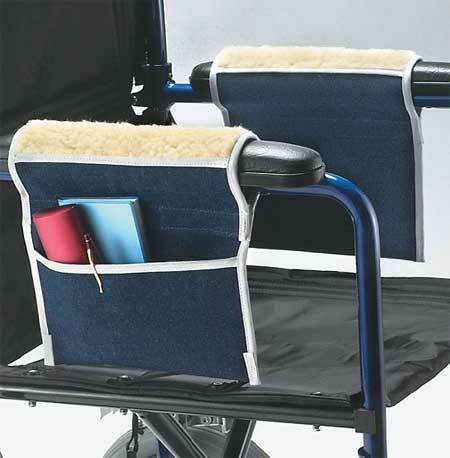 This walker accessory creates a convenient hook on a walker for hang a purse, bag or other personal item. 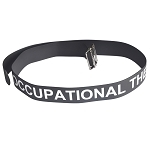 The clamp can be adjusted to accommodate tubing diameters 1/2 to 1 1/8 inches. 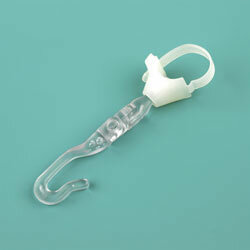 People using a walker or rollator will find this walker hook helpful for carrying a purse while walking with a walker. Fits: Tubing 1/2 to 1 1/8 inch diameter. Q: What is the weight capacity for this hook?